An ultra luxury boutique cigar brand. Not for beginners! 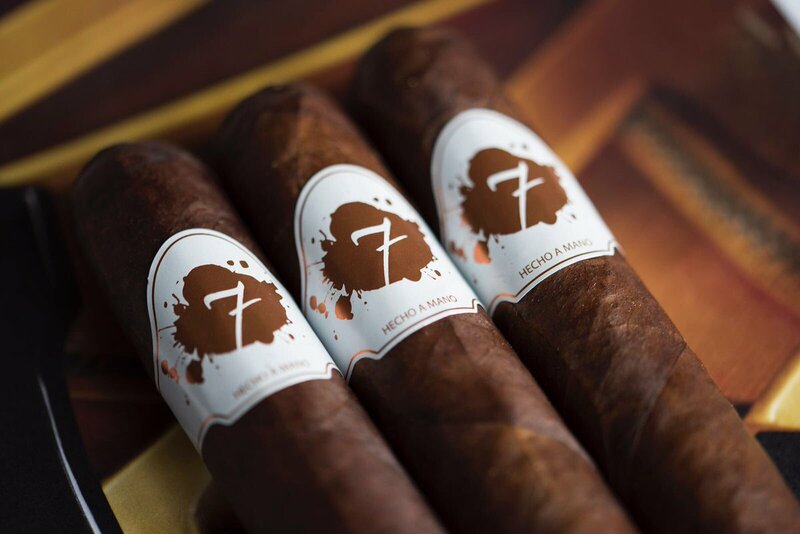 The El Septimo cigars are dark and oily and every detail of the cigar is just perfection. Below you will find a small intro to this exclusive brand that is only sold in specific retailers. The preface to the Septimo saga starts in 2005, with as its subject the concept of a range of cigars whose build and aesthetic and taste qualities would be incomparable. The reason for this creation was overall dissatisfaction with the quality of the cigars on the market and their sizes. The desire to overcome all these shortcomings led the designer to form the idea of this range, which now covers 23 cigars and 3 different series. On the way to this creation everything was redesigned in a new way to break with a long tradition of obsolete packaging, creating new rings providing both originality and aesthetics. Ultimately, in its overall concept Septimo claims to have respected tradition while giving colour to the very particular world of cigars. Dark and oily layers, clumps of tantalising aromas, heightened by outsized modules: Explore your seventh sense through the brand El Septimo. Made from vintage tobaccos and designed by great masters of assembly, each cigar will take you beyond your desires through a unique experience: El Septimo. The passion and expertise of extraordinary men and women are the cornerstone of a brand that combines, for each module, creativity, tradition and sensuality. With El Septimo cigars, your pleasure is first of all ours: that of sharing something exclusive in rare and precious moments.